EB Games Australia have issued a press release highlighting some of the big titles set to grace the show floor, which includes mention of Mortal Kombat X. Playing some of the world’s biggest unreleased games isn’t enough for you? Well there is even more to see and do at this year’s EB Expo! Australia’s premiere video game event is being held at Sydney Showground, Sydney Olympic Park, from October 3 to 5. 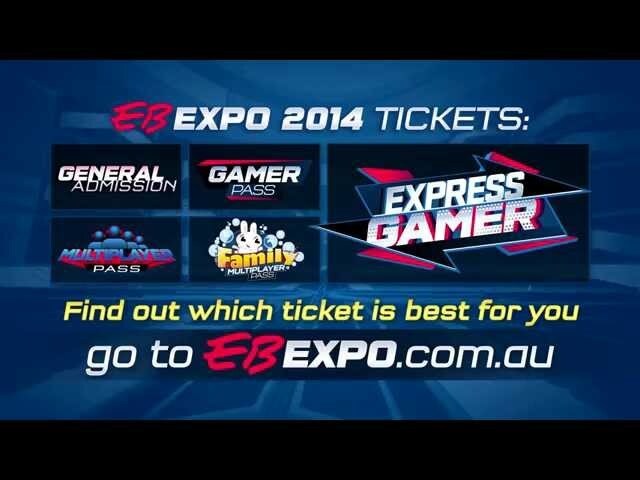 Tickets on sale now at EB Games stores, online at ebexpo.com.au and through Oztix. Seasoned gaming aficionados and Australian families alike will have the opportunity to play and experience the latest and greatest in next gen gaming with the second announcement of games such as Tom Clancy’s The Division, Mortal Kombat X, Call of Duty: Advanced Warfare, Formula 1, Adventure Time: The Secret of the Nameless Kingdom, FIFA 15, Lara Croft and the Temple of Osiris, Dead Island 2, Dying Light, Gauntlet, Sleeping Dogs Definitive Edition, Assassin’s Creed: Rogue and The Evil Within. Looks like Australian fans will have access to a playable build of Mortal Kombat X for the duration of the show at the Warner Bros. booth. As always, Kamidogu will be there to provide the latest news directly from the show floor.